You will never look back and regret that you were too present to a frail and failing parent, grandparent, or friend. You will never wish you hadn't attended your daughter's recital or your son's little league game. You will never wish you hadn't served the Sacrament to a senior friend in hospice. The plea from St. Paul to his younger friend and partner in ministry, Timothy, is one that echoes down the centuries to counter our lack of urgency and timeliness: "Come to me before winter." Paul was staring at his impending end, and a last visit with Timothy could not be put off until better traveling weather permitted. There are some things we can choose. We learn to do what is in our power to do. Harold Kushner writes, "Forces beyond your control can take away everything you possess except one thing, your freedom to choose how you will respond to the situation. You cannot control what happens to you in life, but you can always control what you will feel and do about what happens to you." God is not especially honored by our guilt nor shame. "Father, I am not worthy to be called... treat me as one of your slaves." 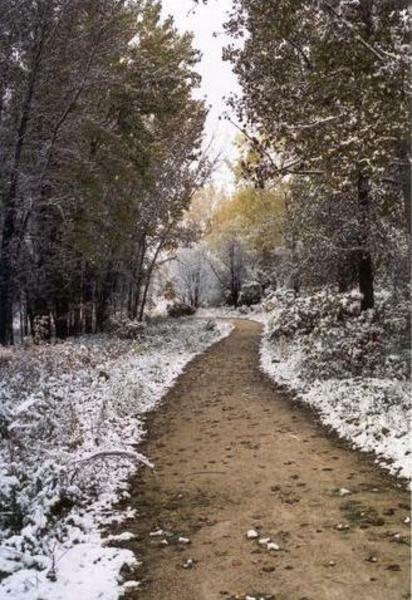 Luke 15: 19. Who in your life needs you to "come before winter?" They don't need guilt or apologies. They need you. A Christmas Carol and The Chimes are two of Dickens' masterful Holiday works. 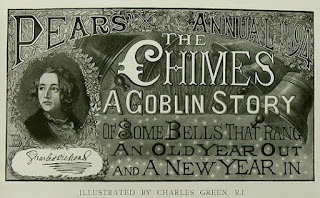 The Chimes is a darker piece on the eve of a New Year, it's about indifference and passivity in the face of social misery. The people of privilege, those of repute, try to ease their guilty consciences. For example, Sir Joseph serves pudding on New Years to the "deserving" poor, where the recipients are truly at the mercy and whim of the "Poor Man's Friend and Father." In The Chimes, Toby, a struggling porter or street runner, passively accepts the condemnation of the poor, that they are "born bad." That is, until a bad dream causes him to see that his own beloved daughter, Meg, is in danger of living under that same societal curse. His nightmare (brought on by a dish of tripe), allows him to see the perils of taking the judgments of others without question, and his own indifference to those closest to him. t's often said that the opposite of love is not hate but fear. I John 4: " There is no fear in love, but perfect love drives out fear, because fear expects punishment. The person who is afraid has not been made perfect in love." Another argument can be made that the direct opposite of love is indifference, complete lack of interest. Another reference is from Revelation 3: 14 ff. The infamous lukewarm or tepid Christians of Laodicea are "neither cold nor hot," the perfect metaphor for indifference and neglect. Here, lukewarm is not the failure to have strongly held opinions or "taking stands," as we all have them. Instead, it's about forgetting that love alone is the greatest measure of our life with God and others. While fear can paralyze us, at least you can work with it. It's much harder to work with total indifference. 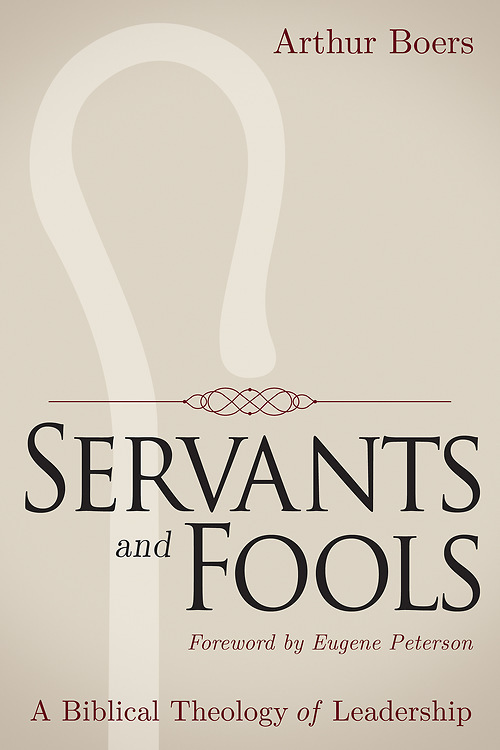 In Servants and Fools (2015), Arthur Boers launches a sharp critique of the Christian leadership genre- and constructs a consistently Biblical theology of leadership. Boers, who holds the R. J. Benardo Family Chair of Leadership at Tyndale Seminary in Toronto, describes the inadequacy of the endless supply of church leadership volumes, presenting easy to follow recipes for effectiveness and success. So many books are simply business manuals with an anecdotal use of a Moses or Nehemiah thrown in: " 'best practices' drawn from Moses leading people from slavery through the wilderness do not translate neatly to what it takes to manage a nonprofit organization or pastor a congregation large or small, let alone run a corporation or launch a business or manage a store." Boers notes the worn out "servant leadership," a creation of Quaker writer Robert Greenleaf. A fictional Herman Hesse character is the origin of the idea. Jesus contrasts servants from leaders- the "leaders" of his day are examples of what not to emulate. From Israel's Judges and Kings to Herod's Banquet, Boers substantiates his main contention that "the scriptures are predominately pessimistic about human leadership, especially when it comes to rulers." The Bible's wariness of leadership is summed up in words of Psalm 146: "Put not your trust in princes." The Prophets are the one leadership institution that survived (he lifts John the Baptizer as a model of New Testament leadership). The prophet's primary role "was always to undercut the pretentions of the mighty and to give God's voice to the voiceless." Boers also contrasts saints with heroes: the biblical "leaders" such as kings, rulers, and princes, are not included in any of the litany of the saints- and are in fact left out of the "cloud of witnesses" named in Hebrews 11. God's Kingship and Lordship in Jesus from the beginning were political rebukes of human leaders who held those titles as "they were a denial of other messiahs and other lords (i.e., Caesar)." The chapter titled "The Plattered Head and Five Smooth Loaves," presents a grim contrast of two feasts to show that the world's kingdoms are in deadly competition with God's reign. In Paul's Epistles, "leader" is far from synonymous with charismatic and self-promoting entrepreneurs. It is functional, and of secondary importance. The Apostle Paul's mention of "administration" (NAB) as one of the spiritual gifts in 1 Cor. 12:28 is also translated "leadership skills" in the CEB - or "patronage" in other cited scholarship. Boers notes that the term, aside from being ambiguous, is actually listed second last in priority among Paul's ranking of the gifts, only higher than different kinds of tongues. How can a leader be called good? Are there good leaders? These questions take up the last part of the book as Boers builds his theology, describing the actual spheres of leadership. It's not just about good leadership, it is about Christian leadership. Here is his definition: "Inspiring, challenging, or empowering people or groups to join God's mission of redemption and healing." All Christians are called to some form of leadership, not to "brand ourselves or to proclaim great things about who we are or what we accomplished." Jesus simply commands us to be who and what we already are- salt and light. Convictions, people skills, and effectiveness, according to Boers, do not define the good leader, because opinions are not always worthy, reasonable, or true, even sociopaths are able to work well with others, and "making and selling junk can be effectively profitable." Instead Christian leaders have ethical goodness and bear fruit consistent with justice and righteousness. Because fruitfulness is elusive, we don't judge by what we harvest, but by the seeds we plant. The value and rightness of the work is more important than the results. This is what Merton wrote about fruitfulness: "All the good that you will do will come not from you but from the fact that you have allowed yourself, in the obedience of faith, to be used by God's Love. Think of this more, and gradually you will be free from the need to prove yourself, and you can be more open to the power that will work through you without your knowing it." 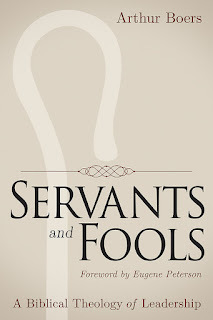 Refreshing in its approach and scholarship, Servants and Fools is a rigorous biblical examination, and a welcome departure from Jesus CEO and its offspring. It's a journey to the spiritual core of serving in the name of Christ. Along these lines, it has much in common with Peterson's Working the Angles or Nouwen's In the Name of Jesus than even Good to Great, (whose author, Jim Collins has written a follow-up volume explaining that Good to Great does not translate to non-profits -Good to Great and the Social Sectors: Why Business Thinking is Not the Answer). Observe your normal routine. Keep doing the things that support and strengthen you. Expect and accept changes in the way you celebrate and keep an open mind. Limit your expectations you place on yourself and others. If old traditions don’t work, try starting a new one. 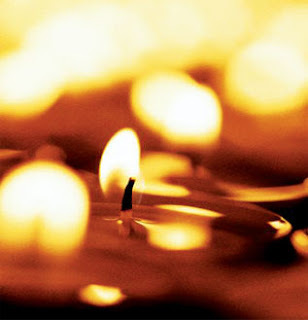 Compline reminds us to face our fears, give thanks for protection from harm, and pray for a restful sleep and good dreams, releasing our trust to the Almighty. Kenneth V. Peterson, Prayer as Night Falls. With all the darkness in the world, how do we sleep well at night? How about replacing an anxious hearing of the late news and a rehashing of problems- with- praying the Compline? In Compline, we get to choose trust over fear and anxiety. No, the idea is not to get a measurable of "better sleep" over taking pills, etc. But think of this: when Compline is used in monastic communities, it is the last word spoken or heard until daybreak. Each night, we too, can let the last words on our mind be the words of Compline. A better order for corporate Compline is here. The prayer below is The Compline of Aidan adapted for private use, from the Northumbria Community. O High Priest of the mysteries. and no nightmares darken our dreams. so our work be fresh and hard. in every place where they are. I give it to You with all the love of my heart. Christ of the poor, Christ of tears. O Thou Son of tears, of the wounds, of the piercing. 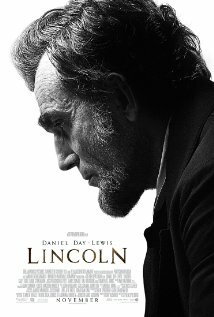 In the insightful movie Lincoln, the President's frequent break amidst an anxious deliberation- to tell a story- becomes a source of irritation for some of his cabinet insiders, especially those who want clarity instead of a story. Read it: faithful disciples are not the ones who understand and get it right. Instead, faithful disciples are the ones who ask for help in understanding- the very beginning of wisdom and insight. It is about growing in love, enacting what the Messiah taught, not insider knowledge. Christian rallies of all kinds may reinforce the flimsy notion that showing up once in a while means something. But being in church every so often doesn't make a Christian any more than having been in a barn makes one a diary cow. This notwithstanding that the prophet Amos actually compared some of his hearers to cows, but not in a good way. (Amos 4:1 ff.) But Jesus (Matthew 23:23-28), like Amos (Amos 5:21-24), sharply criticizes the substitution of love and justice with a dazzling sound and light show. Jesus taught his disciples to interrupt worship sacrifices in order to be reconciled to those with whom we live and work. Matthew implies that if the crowds really did understand, they would be following Jesus. Their dullness (the Message suggests un-readiness) is one reason why the crowds don't recognize Jesus as the Messiah. But since Matthew's and Jesus' words are for believers (supposedly the enlightened ones), they are especially for those of us who cannot admit our lack of understanding, and our need to surrender to the One who resides next to us, whose "furniture is love." The beautiful and fruitful vineyards near Westfield, N.Y. The Common English Bible nails it. In using "complete" to describe the character and example of the Heavenly Father's love, the translation is congruent with the New Testament understanding of teleios. Other versions have "perfect," such as the RSV. The truth is that perfection comes with baggage in English that distorts the original meaning of the Greek. Moral perfection is unfortunately what often comes to mind. Garrison Keillor once quipped that when a pastor mentions to the congregation that "I'm only human," 95% of the congregation immediately thinks adultery. While character does matter, the point of the exercise is becoming aware of and integrating our character flaws, instead of denying them or projecting them onto others. Teleios means reaching the end for which we are created. It is not about exercising flawless judgment or always making the best decisions. It is about finding our completion in God's love and fulfilling God's purpose. Being restored in God's love centers on our intention, because action flows from what we intend and what we want. The question teleios asks of us is simply, how are my actions being shaped more and more from loving intention? In what ways did I fulfill God's purpose today? How was today unfulfilled or incomplete? In what ways were my intentions formed, transformed by God's love? 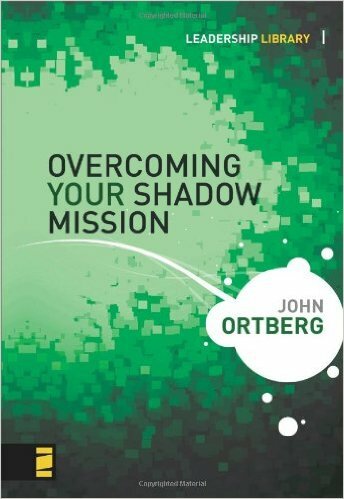 John Ortberg, in Overcoming Your Shadow Mission, is relentless in developing this theme as the pitfall of many a promising leader. That he follows the experience of the shadow mission as it appears throughout Scripture and describes how shadow missions function in individuals, groups, churches, and organizations is one of the strengths of the book. The exercises he provides for persons and groups seem to be workable or at least adaptable, as well. What is a "shadow mission?" I see a shadow mission as anything that diverts our energy and focus away from the ultimate purpose or mission of our lives, or the life of a congregation. And it appears a little differently for everyone. We loose sight of why we're doing what we're doing. The ego is endlessly creative in subverting the holy and life-giving in our lives to some meager purpose, self-serving as well as short-sighted. For spiritual types, the shadow mission could be present in a narcissism that boasts in being spiritually mature and centered. I like Ortberg's development of this theme, though his reading of the Bible is more personal and pietistic. For example, though he details the personal stories of Esther and Samson, among others, what could be a very legitimate case for shadow missions of nations, is left out. That, in my opinion, is a critique that is not without relevance for the church in a world where people and nations uncritically rely on violence and sing gleefully about bombing other countries. So while Esther is a great character study about overcoming the shadow mission, is Esther's heroics subverted by the larger shadow mission of a nation that is not only allowed to defend itself, but also, given the right to kill all of their enemies, including women and children (read, Esther 8:11-13)? In this case, it's the wounded and terrified who then become those who would wound and terrify others. The fruit of this thinking is more dead bodies (9:5-17), and one of the goriest passages in Scripture. 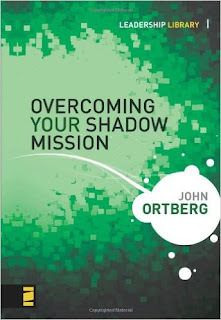 Reflective Christians will enjoy Ortberg's talent in telling the story of the shadow mission, but I believe will be left hanging as a result of screening out the rest of the story. Covenant Friendship- are you a rescuer? 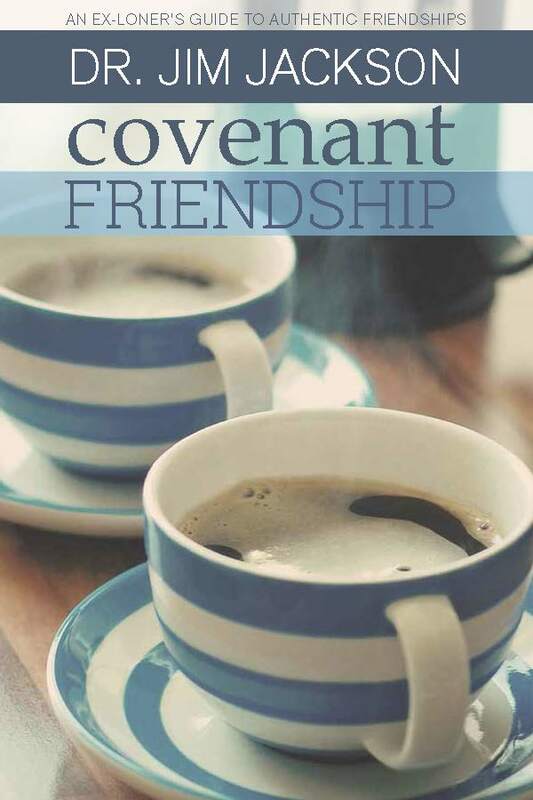 In Covenant Friendship: An Ex Loner's Guide to Authentic Friendships (2015), Dr. Jim Jackson brings his many seasons of pastoral ministry and recovery to bear on the topic of friendship. The result is a rare coalescing of rich biblical insight and pastoral wisdom hard won. Jackson admits that there's only space in our lives for a few covenant friends, so while the book is about friendship, most of the content will relate to intimate friendships: "We all need four intimate friends who would not allow any obstacle to prevent them from helping us." p. 168 Why four? Read the story in Mark 2 about the paralytic's four friends. Jackson finds the origin of covenant friendship in Scripture, in the covenants made between Jonathan and David, and Naomi and Ruth. He maintains that Jesus had only three such friends among all the disciples and multitudes: James, John, and Peter. Church tradition is filled with examples of covenant friendships from Paul and Barnabas to Saints such as Francis and Claire. Wedding vows, according to Jackson, have their origin in the Early Church, when covenantal rites were made between friends. Rescuing others can easily be the drug of choice for any helping professional. By focusing on others, we never have to look at ourselves honestly. Neglecting our own self care and focusing on others keeps us isolated and exhausted. At one point, a friend had to confront Jackson, asking him, "Do you have anything left to give to all of those people?" Much of the content of the book was first presented in a sermon series. Maybe that's why the chapter on choosing friends (5) seemed a little how- to-ish: "Look for new ways to connect with people. Use social network opportunities...Take advantage of Starbucks bulletin boards, and even free publicity in community newspapers to find like-minded potential friends." p.98 Sure, but simply connecting with an old classmate across the country is sometimes just that. Jackson's paradigm for covenant friendship is taken, in part, from the sponsor/sponsee relationship in AA. The sponsor is the giver and the sponsee is the receiver. Adult Children of Alcoholics mentions "fellow traveler," in addition to sponsor. It would seem that many aspects of covenant friendship, such as accountability, require mutuality. We could consider being equally accountable to each other as a kind of safeguard against co-dependency. The role of pastor comes with a power differential which makes mutuality with those we serve more problematic. Too, looking to cultivate intimate covenant friends among parishioners may be considered a conflict of interest- since ministry is about serving others instead of our needs for friendship. Clergy groups would do well to use Covenant Friendship as a guide for greater transparency, self-awareness, and mutual accountability with peers. We pastoral leaders need to drop the false masks of our finely tuned personas in a few safe and non-judgmental relationships- so that we can grow in wholeness and joy. 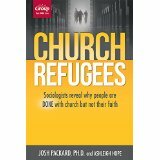 In Church Refugees, Josh Packard and Ashleigh Hope have written a ground breaking analysis of the "dones," those who are done with church but not with God. 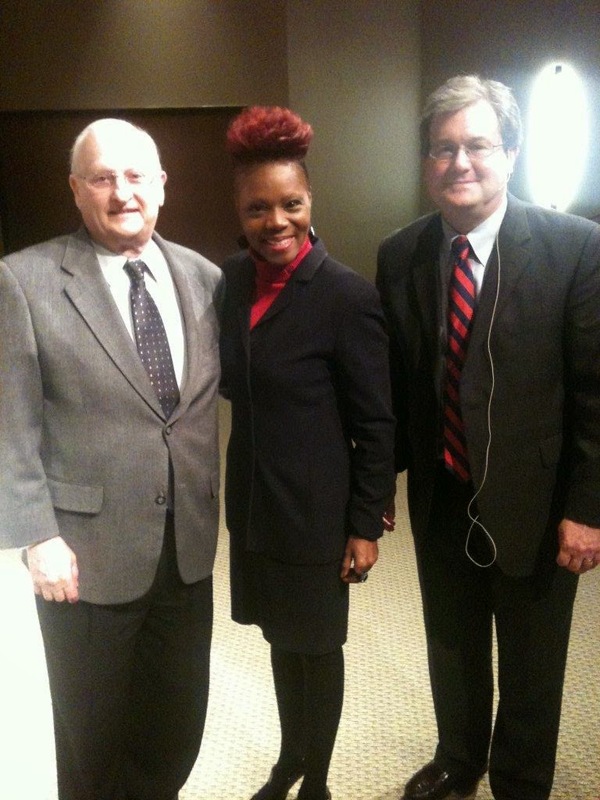 These folks are not dropping the Christian faith- just their affiliation with churches. The book does introduce us to the Dones, and more importantly, what we can begin to learn from them. The study summarizes the themes that coalesced from 100 in depth interviews. Interviewees were of all ages over 25, included laity, former church staff members, and clergy. 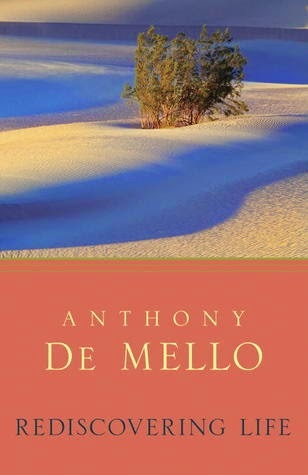 This is not a book about numbers, but rather, a "description of the processes people go through when they decide to leave the church, what they do when they leave, and what they ultimately want out of church." Who are the Dones? They are reluctant to leave, and try many churches before leaving church altogether. They are not angry, nor are they driven by one negative experience. Authors discovered, "almost without exception," that they were "deeply involved and devoted to their churches up until the moment they left. They were integrated into leadership structures and church life, often organizing daily life around the church and attending some kind of church function two or more times a week. They're the kind of people who are drawn to activity." Why do the dechurched matter? Once churches begin to lose their most devoted and engaged members, then they will also lack relevance for anyone who is looking for a more active and engaged faith. The same structures that work for the larger segment of the less engaged folks in congregations DO NOT work for the most active. In fact, this arrangement is what's driving the most devoted away. Where do the dechurched go? They move to things that "look nothing like the activities that consume the traditional church. They move onto community gardens, art therapy, meals in living rooms around a communal table, internet chat rooms, and quilting groups. Nobody...mentioned replacing church with a worship service or with a sermon series or with committee work. They are replacing church with meaningful activities that engages their communities and builds relationships, things they find missing in church." Suggestions for preventing an exodus take up the last part of the book. Most of the strategies address the need to make room for those who are at risk of leaving, the most active, engaged, and devoted. Working together on short term ministry projects like VBS- things that have a beginning and end (and are not on-going or self-perpetuating) can go far in utilizing gifts of leadership and passion of others. Whatever the parallel to Google's 20% time, "the data about the dechurched suggests that it makes sense to devote some organizational resources to provide an outlet for the church's most ambitious congregants." One of the more helpful insights is the critique of how we spend our resources. The dechurched saw the Sunday morning gathering as a huge resource hog. Sacred cow? "The problem is in claiming a missional and outreach focus, or a teaching and small group focus, when the vast majority of resources are spent elsewhere. From an organizational standpoint, this lack of understanding means, functionally, that it is very difficult to make room for worship, small groups, and outreach." Or it's much easier said- and included in mission frames- than actually done. This is an important book because, until now, there existed scant research on the dechurched as a category all its own. While numbers are just beginning to show, most research has lopped the dechurched into the same category of the unchurched, or Nones. See for example, Churchless. What's more, there's an integrity between the focus and rationale for the book. Instead of one more book about capturing the youngest adult generation to feed the institutional machine, it's more about what we can learn from seasoned Christians on the other end of all our assembly line like schemes for discipleship. If what we are left with is more dechurched, then there's something inherently misguided in our approach, and with the structures that result in more Dones. 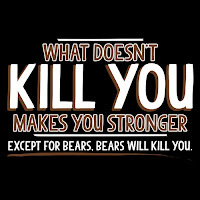 Whatever Doesn't Kill You Makes You Stronger- really? Even if these words of Nietzsche function as an encouragement for some, their actual truth is debatable. Too, the phrase is not necessarily helpful to anyone who does not gain strength from trauma. Because trauma is stored in the body's memory, the "limbic loop," one does not just "get over it." Repeated head trauma does not make the brain stronger but rather, it can severely and permanently disable it with certain dementias. Hyper- vigilance can be a lingering effect of surviving traumatic events. Hyper- vigilance places the body in default fight or flight mode. Hans Selye, the endocrinologist who pioneered the physiological basis of the stress response, concluded that stress hormones do not strengthen the body but weaken it. With the body on regular high alert, panic attacks break through- seemingly out of nowhere. There's a thoughtful post in support of this quote, suggesting that, while Post Traumatic Growth is possible, it is not automatic. We have to choose to engage practices in order to heal. Even then, there is not one practice that works for everyone with the same results. Anything can make us stronger, but only if we let it. Malcom Gladwell, in David and Goliath, discusses the impact of the many near misses during the London Blitzkrieg of W.W. II. For Londoners who began to realize that their chances of surviving the next bombing were actually good, the repeated bombings had the opposite effect of empowering, rather than weakening, the resolve of the surviving population. Nietzsche wasn't a medical professional, therapist, or spiritual counselor, but rather a philosopher and son of a Lutheran clergyman. I would seriously question using these words anecdotally or as a substitute for the hard work of recovery. We do well to remember that recovery from trauma is not a given, nor is it easy. And it certainly does not come from the slogans gleaned from dead philosophers. Ever since Dorothy's farmhouse landed on the Wicked Witch of the East, Dorothy had the vaunted ruby slippers- and the way home- already available to her. She could have returned home anytime she wanted, good witch Glinda finally revealed. It would have made for a very short movie if Glinda had divulged earlier. Half asleep, we mouth affirmations and sing those songs with their baby pablum-like words that loop around without end. Does it all function as the counterpart of wearing the mysterious slippers? Are we totally unaware of the gift and possibility they bring? We go back to find our way home, because it's in the beginning that God created us in God's image and likeness. There nothing to be added or deleted to make that any more - or less- true. This was true when God called us out darkness into light and life, and it is true to this moment. A beautiful parallel to this affirmation in the Gospel is when Jesus declares that we are light. He doesn't say we have to get something else, be someone else, or out- do everyone else in order to be light. John Claypool, the well known Southern Baptist turned Episcopalian author and preacher, once wrote, "It ... dawned on me that the secret of life is not getting something from the outside by achieving and competing. It is, rather, getting what is already inside outside by acceptance and self- giving." Maybe we have heard more about how we do not measure up, how we need to be more like someone else, how we are not worthwhile without something more to do or be. We can easily exhaust ourselves through reacting to others, people pleasing, placating others, and needing to be needed. We may think we can fix and heal the sick and needy people in our life. But being focused entirely on others blinds us to our own gifts and needs, even our flaws. Instead, we move farther away from self awareness and acceptance. Those traits only obscure the way home. 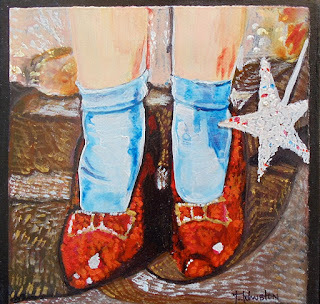 The core of the Gospel is, now and always, God's acceptance of us, the way to our true and best self, the ruby slippers we had overlooked all along. We can start the journey now and don't have to wait for the end of the movie, like Dorothy did. It's fear that sets these tests and proofs, not love. -- Malcolm Guite, excerpt from the poem, "On the pinnacle," Sounding the Seasons. Underneath the need to prove is the fear we will never, ever measure up. Who hasn't tried to amass academic degrees, personal accomplishments, and professional successes only to look for an even grander achievement to provide the same momentary zing that the earlier results did? The bigger my personal achievement was, once the excitement faded, the deeper was my emptiness. 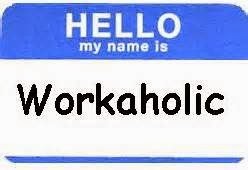 It's called workaholism- the most reputable of all compulsions. But like other addictions, it's a disease, and its end is more painful than any short lived high that another achievement can bring. An addiction proves you can never get enough of what's not working. Can relying on signs in ministry be fear based? Results and signs have to do with my survival and competing for scarce resources. How far is that from Jesus' own words about practicing love without hope of reward: if I do only good to those who do good to me, so what? Even the irreligious folks do that. That may be more about my feeling good about myself, more about control, manipulation, coercion, or flattery. But Christ's love isn't about getting a return. We all know about the need for results in ministry. But at some point, I cannot escape the fact that the practice of my calling is taking me farther and farther away from what Jesus actually taught and lived. Jesus' temptation means that in the presence of fear, he nonetheless chose love. It's not about the eradication of all fear- it is about choosing God's love and grace as my center, from which any and all good- and freedom to love- follows. 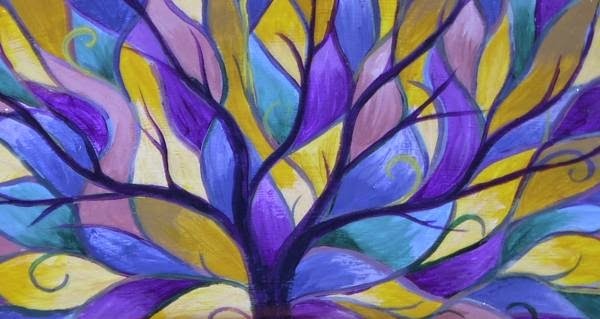 Like the inextricable wisdom hidden deep in the earth, our actual growth in wholeness and holiness seems inaccessible at times. Even if you engage in, say journaling, the actual signs of deepening in love can be far away. I once kept a journal as apart of a D. Min. class. One reason given for keeping a journal is to look back and see what "progress" has been made. But in this instance, when I read prior posts, what I really saw was not movement, but stuck-ness: it seemed I was repeating the same struggles from month to month. 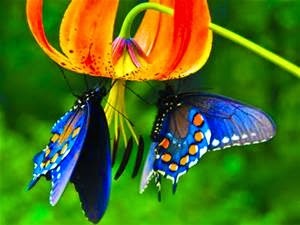 What is it about transformation of spirit that is so hidden from our eyes? Remember Jesus' remarkable parable about the seed growing secretly, in hiddenness? (Mark 4:26 ff.) "In secret" is akin to "hidden" in the New Testament. Could being "rewarded" in secret be something that is actually invisible to us? A better question might be, why do we need to see our progress? Jesus is describing a mystery organic to the Kingdom. The sphere of God's reign frustrates our best efforts at controlling God's movement of grace, which is at work within us, yet far exceeds anything we can ask or imagine. (Eph. 3:20) Or see. All attempts at "measurable results" in the spiritual life are a dead end, or at best, a detour. The ego invests everything in its programs of success, including the tangible results of our spiritual methods. But if Jesus is right, our reward is usually hidden from our eyes, off the excel chart of spiritual production. Just because we can't make the reward a commodity like everything else doesn't mean that we don't receive it. Like the leaven that is hidden in the dough, God's rule of grace is active in us: it pops and sizzles and transforms us, often in spite of our best attempts at changing ourselves. The "reward" of less ego is experiencing more of God's abundant love. The Apostle Paul's vision is that our life will culminate in the experience of knowing as we are known by God, loving as we are loved by God: "Now we see a reflection in a mirror; then we will see face-to-face. Now I know partially, but then I will know completely in the same way that I have been completely known." (I Cor. 13:12) That could be considered the true fulfillment of our lives in God. Give us, loving God, our true reward: more of you, more of your love, peace and grace, both now in the days to come. After the hedonism of Mardi Gras, it's that time of the year when the spiritual practices will soon be in vogue. Again. The reading from Matthew 6 is a reminder that the practices are really nothing in themselves. 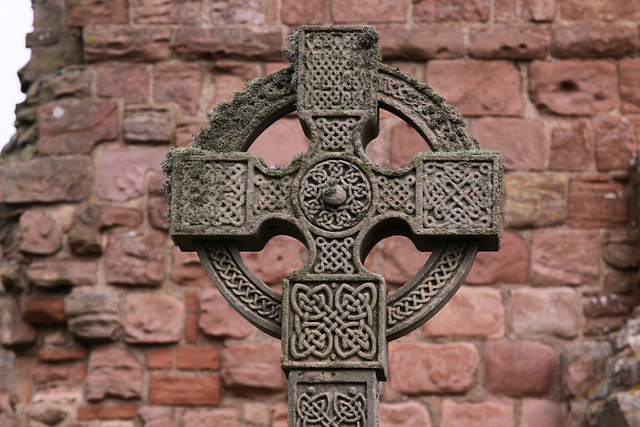 After all, prayer, giving, and fasting are practices embedded in many religions outside of Christianity. If the practices buttress my spiritual accomplishments, they are just another occasion for hypocrisy and pretense. Anything we do in the name of faith can be subverted by our own ego, our need to say, along with Little Jack Horner, "what a proud boy am I." It's too easy to present ourselves in way that is overblown- where the image we project goes far beyond where we're actually living. Others can see through the pretense, and Jesus called that hypocrisy. According to Jesus, God doesn't really seem to care that we pray or give or fast if it is ego-driven: done only to feel better about ourselves, to check off a box, or to prove how spiritual we can be. In fact, it might be better to not engage them at all if I start the journey unaware of what is pushing me in the first place. Without self awareness, our natural default is the affirmation and acceptance of others. The glow of empty praise lasts for how long? A few minutes? There are the updates of folks trumpeting their fasting by showing us their empty plates, or of churches asking you to stand up and tell everyone that you give generously. (If you read the story of Ananias and Sapphira in Acts 5, you may see that this church practice has a negative NT precedent, suggesting that the burden of proof is on substantiating exactly why followers of Jesus should be declaring their generosity before others). I try to post photos of our service days at the Houston Food Bank. If I never did that, would it take anything away from our experience? On the contrary, it might add something to our spirits. Richard Rohr, in his recent Dancing Standing Still (2014) has this to say about what most Christians consider a core spiritual practice, worship: "Jesus clearly taught the twelve disciples about surrender, the necessity of suffering, humility, servant leadership, and nonviolence...The men resisted every time, and so he finally has to make the journey himself and tell them, "Follow me!" But we avoided that, too, by making the message into something he never said: "Worship me." Worship of Jesus is rather harmless and risk-free; following Jesus would change everything." Go through the motions unaware and my default is driven by ego and the acceptance of others. Engage the practices as a means for self awareness, and I can receive in the secret place- my depths- God's Spirit of love and peace, the locus of true change.